Year of gas "wins" and energy "fails"
Many Ukrainians will remember 2017 by another attempt of the country’s authorities to raise gas tariffs, adding a monthly fee to its cost, as well as by a rise in gasoline prices. But among all these mishaps, there were some undoubted victories such as Ukraine’s own gas extraction boost and Naftogaz’s historic victory in the Stockholm Arbitration over Gazprom, the Kremlin’s major blackmail tool. The most important news in Ukraine’s energy field last year was the award issued by the Stockholm Arbitration Chamber in the framework of a lawsuit between the state holding company Naftogaz of Ukraine and Russia’s gas monopoly Gazprom. The claim arose over a "brotherly" gas contract, signed frosty January 2009, which was notoriously unfair to Ukraine. The then head of the Russian government, Vladimir Putin, managed to obtain the consent of his Ukrainian counterpart Yulia Tymoshenko following a 3-week long "gas war" including a total halt of gas supplies to Ukraine and restrictions on gas transit to the EU via its territory. In fact, this document sealed Ukraine’s energy surrender, which, as the Kremlin believed, forced Naftogaz to purchase gas in Russia in the amount of 52 billion cubic meters per year for the next 10 years, regardless of the own needs of Ukraine’s economy. In case of Ukraine’s failure to take said volumes, it was supposed to pay anyway (a take-or-pay principle). Thanks to the Stockholm Arbitration award, this enslaving provision was abolished for previous periods and reduced to 5 billion cubic meters for 2018 and the following years. The Arbitration also rejected all of Gazprom's financial claims under this clause, which amounted to an astonishing $56 billion. In addition to the volumes, the contract also laid down non-market prices. In 2009, the Russians managed to tie the cost of gas to quotes for oil products, and to secure a sky-high price of $485 per 1,000 cubic meters of gas. The Stockholm Arbitration Chamber reduced the cost of gas for past periods to $352. For comparison: now Kyiv is purchasing gas in Europe twice cheaper and completely refused to purchase gas from a country that since 2014 has been waging a war against Ukraine, having stolen Crimea and part of Donbas. Also, the Stockholm Arbitration rejected all demands by the Russian side, which, beginning in 2015, persistently tried to impose on Ukraine the obligation to pay for gas, which the Kremlin supplies to its puppet regimes in Donetsk and Luhansk. In a despicable move, Gazprom billed Kyiv $1.3 billion, which is now void, much to Kyiv’s relief. "I believe that this is a historic victory. Had there been a loss, Ukraine would have faced a direct threat of default," President Petro Poroshenko said, commenting on the Arbitration’s award. However, the row between Naftogaz against Gazprom is far from over as the international arbitration is considering another case that concerns a transit contract, also signed in 2009 with the participation of Putin and Tymoshenko. Under the agreement, Gazprom must transport through Ukraine 110 billion cubic meters of gas annually, which, of course, was never the case, and which allowed Naftogaz going into an offensive. "We are waiting for the transit tribunal. It should be completed in February. At the end of February we will know the full figure ... In the transit tribunal, we are on an offensive, demanding $16 billion, while Gazprom claims nothing. Only after the transit tribunal can we report on the final balance of settlements," said Naftogaz CEO Andriy Kobolyev. Putin's hybrid war against Ukraine certainly does not add confidence to the suggestion that Ukraine’s GTS will continue to be used in the long term as the main route of Russian gas supplies to Europe. The Russian government and Gazprom in recent years, contrary to sound economic sense, have actively been constructing and designing gas pipelines bypassing Ukraine, worth tens of billions of dollars. The pleasure of punishing rebellious Ukraine is not a cheap one, but who will count money when an order has been received. According to Kobolyev, Russian bypass routes threaten the business, which in 2017 brought Ukraine about $3 billion. 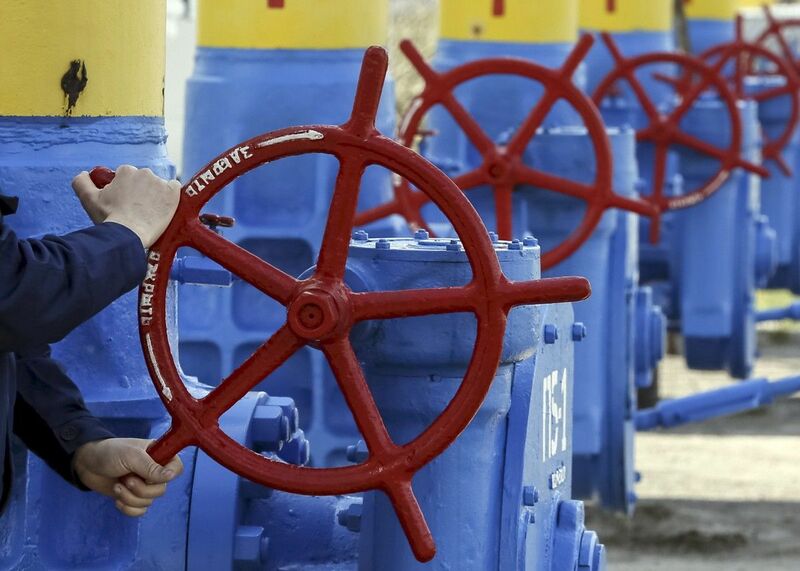 Within the framework of its countermeasures, Ukraine decided to withdraw its GTS into a separate asset and to attract a European gas company to manage it. This will allow us introducing European principles of GTS management and making the market more transparent. In the future, this will also allow transferring gas acceptance points from Ukraine’s western border to the eastern ones. Thus, European traders will be buying gas from Gazprom in the east of Ukraine and ordering transit services from Ukraine. It is clear that the transformation of such scale amid the lack of experience and unity of all parties to the process is a very difficult and conflict-bearing endeavor. And this could be evidenced last year when the government developed a reform plan and created a new legal entity, "Trunk Gas Pipelines of Ukraine", while Naftogaz allocated the gas transmission assets of Ukrtransgaz into a separate branch called "Operator of the GTS of Ukraine". The Cabinet of Ministers said that its resolution did not provide for the establishment of the branch, while Naftogaz responded by stating that the government and the energy ministry had failed to create conditions for the full-fledged operations of the "Trunk Gas Pipelines". As a result, the issue of control over trunk gas pipelines remains open. Probably the only pleasing thing here is that all parties to the process have become heavily engaged in the fate of gas transit without waiting until the transit contract expires. Another victory of the past year was the increase in own gas production, which, according to Prime Minister Volodymyr Groysman, is the key to achieving the state's strategic goal of energy independence. While in 2016 Ukraine managed only to slightly increase the output rate, in 2017 it was up 3% as more than 20 bcm of gas has been extracted. At the same time, Ukraine’s largest player, the state-owned Ukrgazvydobuvannia, increased the volume of produced gas by more than 4%, exceeding the 15 bcm mark. This is a good trend, but to achieve the government's goal, which is to increase gas output to 27 bcm by 2020, the annual growth should amount to at least 12%. At the same time, another victory will contribute to raising the output to the required level: late last year the Verkhovna Rada more than halved the rate of rent for gas production at new wells. The parliament also approved low rent rates for hydrocarbon production under production sharing agreements. "Due to lower rent rates, forecasts for the development of gas production for the next year are quite optimistic. In 2018, companies will actively invest in drilling new wells and in the third or fourth quarter we will see an increase in production rates," said Hennady Kobal, head of Exploration and Production consultancy. According to him, in 2018, Ukrgazvydobuvannia should receive licenses for exploration and production of hydrocarbons on the Ukrainian part of the Black Sea shelf, which opens new opportunities for the country, especially after the Russian annexation of Crimea. A year’s failure can surely be called the lost opportunity to create a retail gas market where the population gets the right to choose their supplier on their own. While the wholesale market has become sufficiently liberalized, the sector of gas supply to the population remains under the control of local monopolies –regional gas companies and regional gas sales companies, most of which are in the sphere of influence of a Ukrainian businessman Dmytro Firtash. For many years in Ukraine has been home to a long-worn out model that obliges state-owned extraction companies to sell gas to the parent holding company, Naftogaz, while the latter in turn has to sell it to the regional gas sales companies. This deprives private traders of the opportunity to enter the gas supply market for the population on competitive terms. Unfortunately, the government and the National Energy and Utilities Regulation Commission in the past year failed to offer the public a new efficient model of the gas retail market. In 2017, the Cabinet of Ministers, despite its promises to international creditors, did not dare raise gas tariffs for the population, despite the increase in purchasing prices in the European market. The manual management of this segment was frankly a populist move in its nature and affected both the economy and market. "I do not see any reason to change the price of gas now," Prime Minister Groisman said repeatedly on the eve of the heating season. And only in late December did he mention that the Cabinet was developing a new formula for determining the price of gas for the population, which will be introduced starting the next heating season. The government will in one way or the other have to switch to market pricing for gas, as this is a prerequisite for obtaining the next tranche of the International Monetary Fund, the talks on which will resume in January. A characteristic failure last year was an attempt to introduce a monthly fee for gas. The NEURC in the spring of 2017 came up with the idea that the gas tariff should consist of two components: the price of gas as a commodity and the cost of its transmission, or a fee. The catch was hidden in the mechanism for calculating this monthly fee. The thing is that the NEURC used the rate of the maximum possible gas consumption for a given period of time. This approach enabled the regional gas companies to receive an annual additional revenue of more than UAH 7 billion. The idea with a fee was met with harsh criticism: the Ministry of Social Policy stated that this would lead to an increase in gas prices for 5 million Ukrainians. In these conditions, the NEURC was forced to delay the innovation, and in August the regulator suggested using the indicator based on the meter’s ordered capacity, not its maximum capacity. And the Commission will determine it independently, without the consumers’ participation. This time, the adoption of the decision was prevented by public activists who thwarted the regulator’s meeting. Most likely, the initiative will receive a new breath in the coming year, while the validity of the formula will once again become the subject of fierce debate. 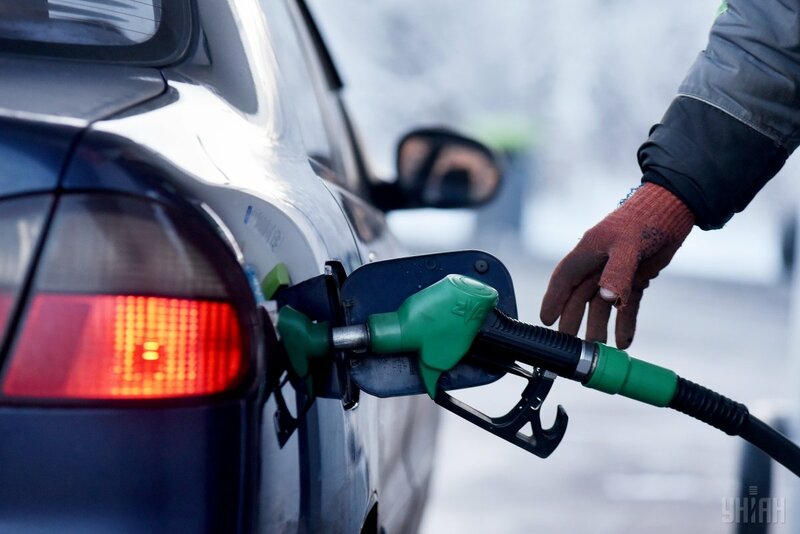 Ukrainian car owners in the past year witnessed a shocking trend for the rapid increase in prices at filling stations. Beginning in August, the prices for petroleum products increased by an average of UAH 4 per liter and beat all possible records. For example, prices for A-95 in some gas station chains exceeded UAH 30 per liter. Responding to the situation, the Antimonopoly Committee in late December launched an investigation into possible concerted actions of the OKKO and WOG networks. Analysts believe that the probe alone without a due review of the taxation policy in the sector by both government and parliament will not radically change the situation. "In 2015, global oil prices fell to $45-50 per barrel and then we hastened to raise our excise tax for fuel. Now the situation has changed. For three months in a row, the price for "black" gold exceeded $60-65 per barrel. Today we live in a different reality and therefore we need to change our approaches to taxation," believes Oleksandr Syrenko, an analyst with UPECO. The eventful year of 2017 has become history, on which the trends of the coming year will be based. What awaits us in 2018? At the end of February, the Stockholm Arbitration Court will determine the fate of Naftogaz's claims worth $16 billion to the Russian gas monopoly Gazprom over the gas transit contract. In April, after the end of the heating season, the Cabinet of Ministers is likely to act according to a common economic sense and the requirements of the country’s international creditors, and announce an increase in the gas price for the population to the market level. There is hope that in 2018 life will force the government and Naftogaz with the help of their Western partners to implement a unified model of transformation of the country's GTS to preserve Ukraine's role as a key transit route for gas supplies to Europe, while Ukrainian consumers after the reform will be able to become full players in the gas market. And there is no doubt that in the coming year Ukrainian companies will increase their gas output, expanding drilling programs for new wells. 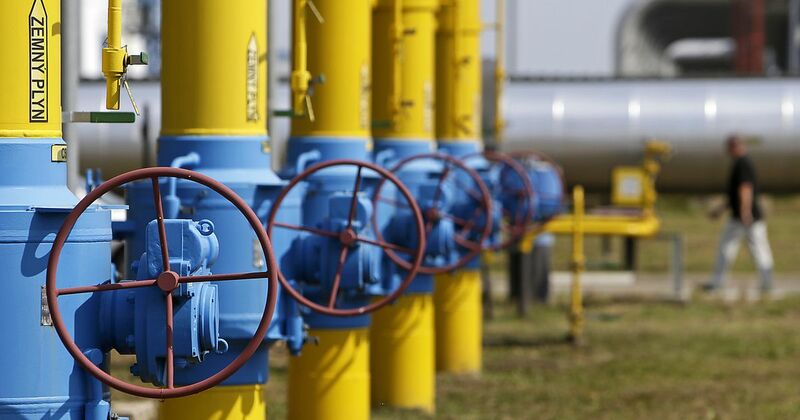 Then the authorities will face the task of finding incentives for acceleration, while energy specialists must find technological and business solutions to turn Ukraine from an importer of gas into a gas exporter in the medium term. And, finally, in 2018, Ukrainians will continue to adapt to high gasoline prices. For most, this will mean the inevitable increase in commuter fares and high inflation, while for some it will be a sign to drive their car only on special occasions and seriously consider buying an electric vehicle. The temptation to switch to electric traction will be fueled by a new fashion that takes over the global automotive industry. The time of gasoline engines is passing, and Ukraine should not trail behind the global progress.